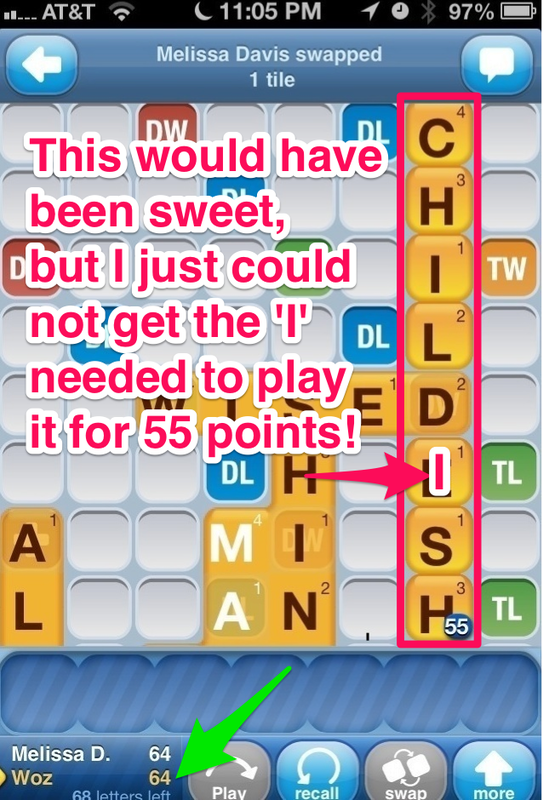 I'm playing Words With Friends...With Woz. Try playing this game – or any other game – against a genius and see how you feel! 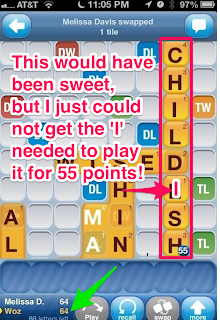 Whenever you fear the memory zombies will make you forget your next potential move, Skitch it. 1. Take a screen shot of your current screen by holding down the home button then immediately press once on the 'lock' button at the top of your iPhone. You must press the lock button immediately while holding the home button because if you hesitate too long, SIRI will beep. 2. Launch Skitch and tap the plus + sign in the upper right corner. You can use Skitch for so many occasions. I use it all the time for tech support. It's so easy to say, here, see this? Tap here and then draw and arrow or circle something. Most times when people are lost, so are their eyeballs, so it's helpful to show them exactly where to look. 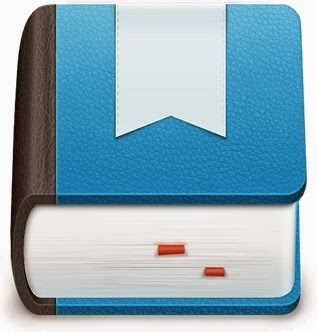 It's one of my very favorite apps and I've been using it for years now since it was a baby website! I recently saw a link to this article about clownfish and it made me think of Apple and Steve Jobs. 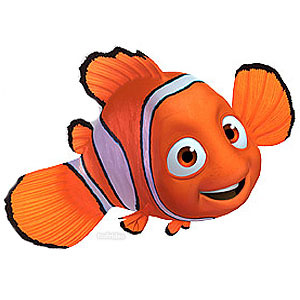 Whenever I see a clownfish I think Finding Nemo, of course, but being a geek, I also visualize one of the standard-issue Apple Desktop pictures. Thinking about that then leads me to wonder just how these iconic desktop backgrounds are selected to become a part of the OS installed on all Macintosh computers. 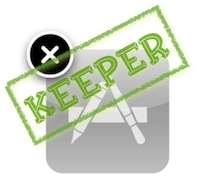 Can you imagine the hundreds, or even thousands of photos the Apple OS designers pour over? Every time there is an OS upgrade, one of the very first things I ever do is to go check out what new desktop backgrounds come pre-installed. For some reason, I'm pretty sure I'm not alone in doing this. If anyone does know how the images are selected or has photo credit information for this or any of them, I've love to know. A long-time friend once told me a cute story about Steve Jobs while we were catching up on Facebook. She knows I'm an Apple Geek and told me she works out in Silicon Valley right off of Woz Way. (I'm envious and must go visit, of course!) Her friend's husband is the Facilities Manager at Apple. One time he was sent to Steve Job's office because he had set of Finding Nemo cast figurines from Pixar on his credenza. Apparently Steve had run into it with a cart or something which resulted in one of the figures falling behind it. Can you guess what the note said? He needed someone to "Find Nemo." I love that story. I can only hope that the Facilities Manager kept that note. I know I would have! 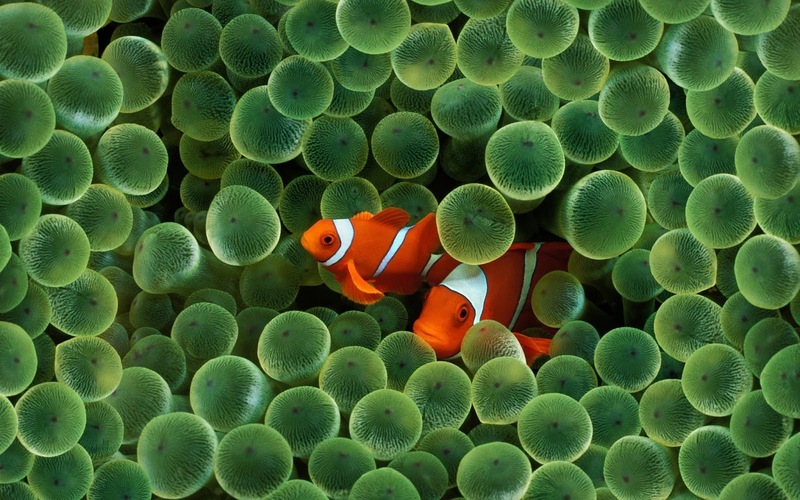 I believe Steve Jobs even resonated with the clownfish — identified with it somehow. Here is the link to the Wikipedia article on the Clownfish. If you're an Apple Geek like me, you might see the same parallels. It's also interesting to note that Finding Nemo is one of the few DVDs that will still play on our 1999 Tangerine iMac G3! You can even still use the screen savers and play the bonus DVD content! Makes ya wonder, doesn't it? Here is another cool link that will educate you on the Clownfish. What is your favorite Pixar character or desktop background? I'm always looking for new backgrounds for my desktop so share if you have a link to one you really like! 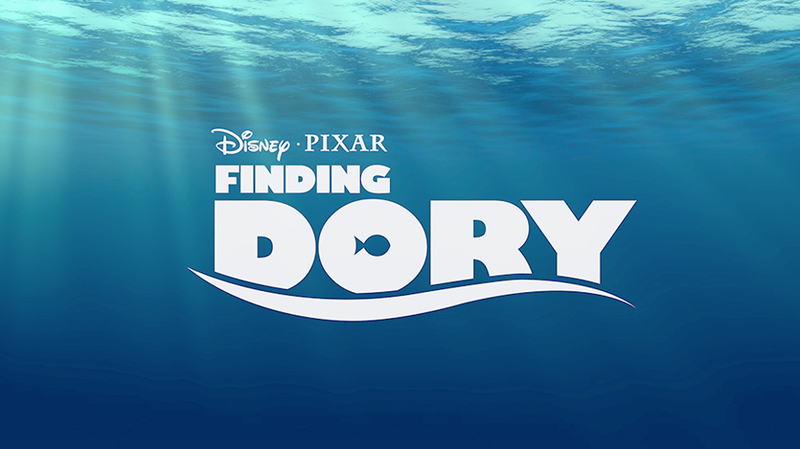 Who else is excited to see Finding Dory in 2015? !